This is an awesome look I wore weeks ago after I got a Loaded Lacquer and Picture Polish orders both almost a the same time! (purchased myself) I thought these 2 would look amazing together. 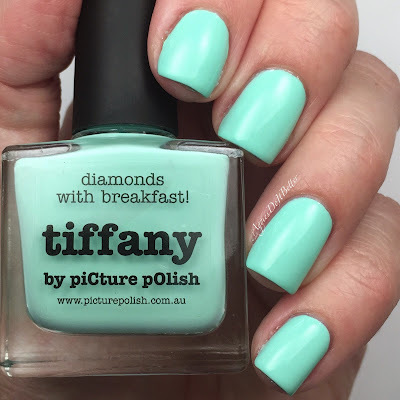 Here's a quick look at Picture Polish Tiffany by itself. 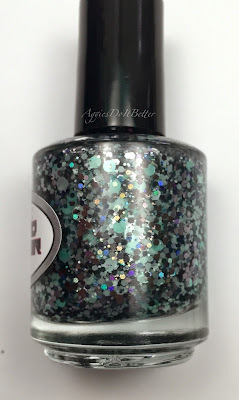 I still have a review post on PP coming soon! 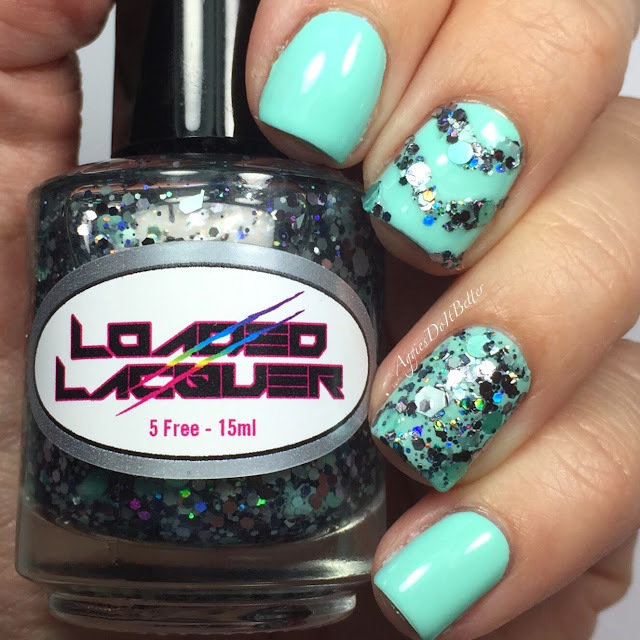 Mintallica is a dense glitter in a clear base. It has silver, gunmetal and mint glitters in all sizes. 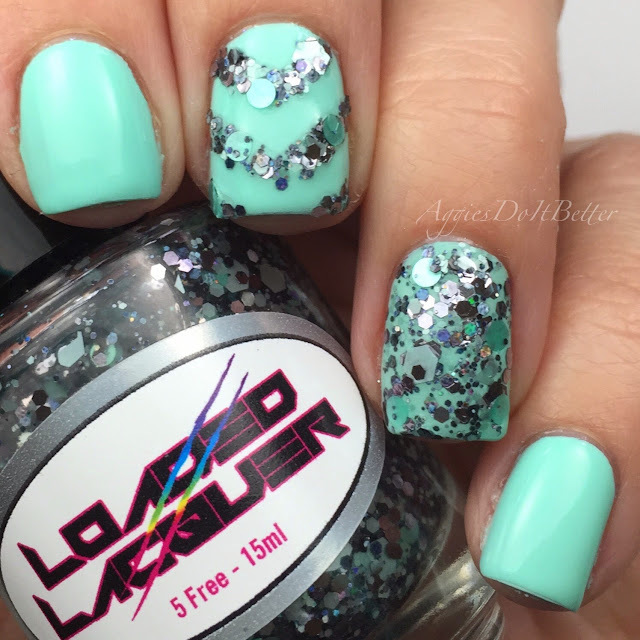 I had no problem getting the larger glitters on to the nail! I just used single chevron nail vinyls to do the one accent nail and a sponge to pack the glitter on to my ring finger!